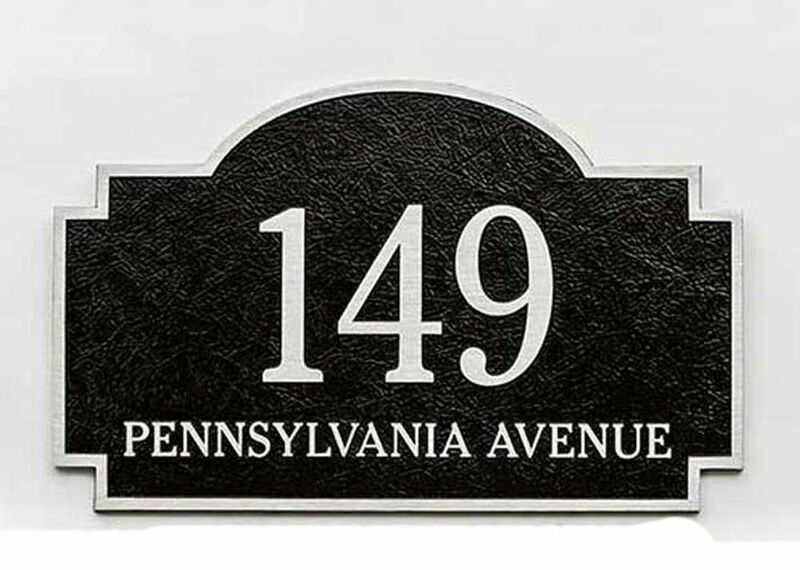 Custom Two Line Arch Address Plaque - - combines an arch top and a cut-corner rectangle sign. 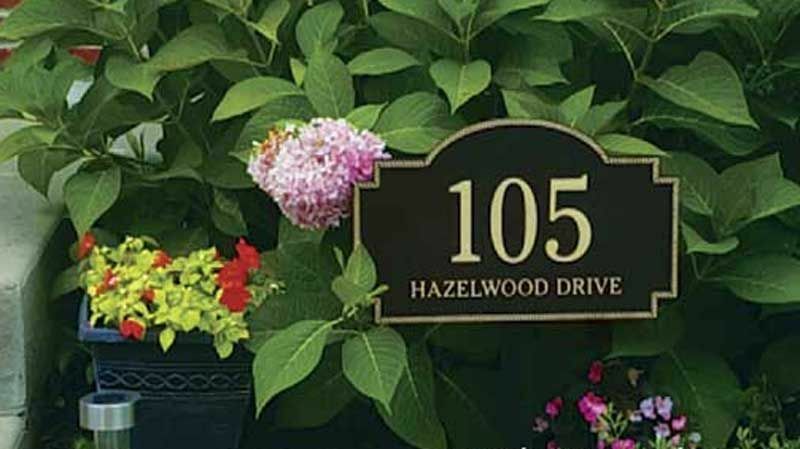 Cast aluminum address sign displays your house number and street name. 16" x 10". Made in USA. Address number line holds up to three (3) large 4" numbers. Street name line holds up to nineteen (19) smaller .75" characters. Dark oxide background with bronze-tone characters and border (large image). Dark oxide background with aluminum tone characters and border (small image). 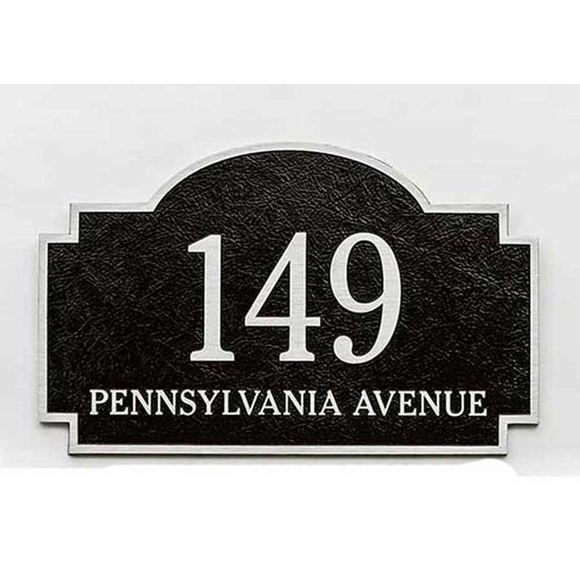 Address shown in large image above: 149 Pennsylvania Avenue.